It all started in 2008. Dnipro National University launched a student project to build a satellite. Eventually they ran out of money and put a project on hold. I was outraged. I decided to gather active students and founded Astro Junior society. For me the satellite was a big and complex device, almost like a rocket. Later it turned out, that satellite is a frame with a number of components fixed on it. We almost assembled a working satellite. Thanks to a grant program, University received from Germany the ground part responsible for collecting the data, though it didn’t work. That’s how I got interested in space. Now I have 54 projects in my investment portfolio. I became more experienced over the years and developed my own rules of investing. In complicated technical projects I deal with wise people, who are older than 40 or even 50 years. Young people in our industry can be developers, managers, CEOs, but not inventors. In 2011 we started working on the garbage recycling. The team included experienced specialists with diverse skills. Somehow they mentioned that they were developing a space engine. I laughed. But they had a true passion, and I decided to allocate a small background funding – something like 10,000 UAH per month ($385) to keep them engaged in a project. It took them 3 years to show a prototype. 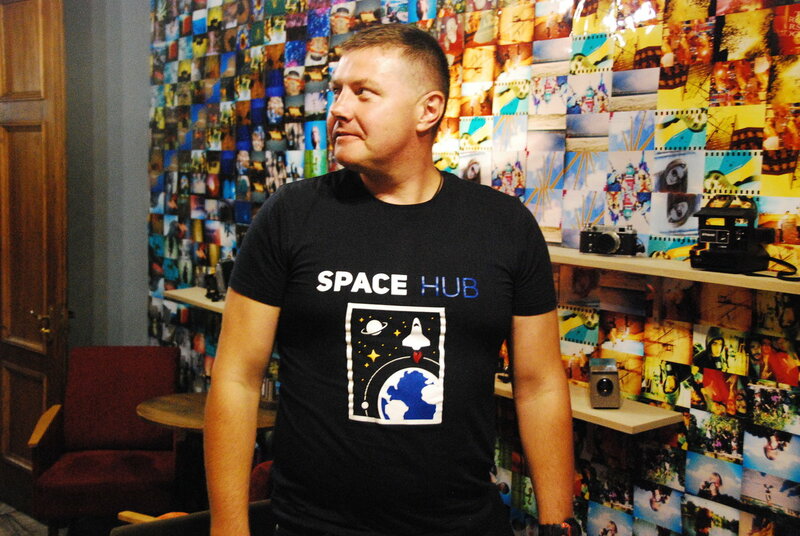 In 2015 I decided to launch a space incubator – SpaceHub. And I told them: “Guys, how is your project going on? If there is no result, let’s close it. I have a new big project and I need money to finance it.” They said they would conduct the last experiment. It looked like this: there is an iron box with an engine inside. They turn the engine on and the weight of the box drops. The loss was about 4 kilograms. In atmosphere engine produced 4 kgs of thrust per 70 kilograms of weight. Then we made another model and tested it in a vacuum chamber. It showed 120 grams of thrust. In two different environments various factors influenced our engine, but what is the most important – the thrust was there! There are jet engines with directional ejection of particles; there are plasma engines that run on xenon gas. But in both cases, if you run out of fuel, engine stops working. There are also some types of electric engines that work differently. They seem to break the law of conservation of energy. There are teams in the world that develop these sorts of engines called EmDrive. Scientific world doesn’t recognise them. My team told me: “That’s it, Max. We’re rebels!” And I replied: “Cool! That’s what I need”. We made a few more prototypes, but they produced only few grams of thrust. The question was: how do we increase thrust? We built a system of coils able to create special pulses and spin a disk with a certain frequency, producing thrust as a result. However, the power wasn’t enough to move large objects. For three years our team experimented with different spin frequency ranging from 3,000 to 30,000 per minute. Then we calculated effects at a speed of up to 100,000 spins per minute. But there was no breakthrough. At that time I was already head over heels in space projects. I launched SpaceHub, whose mission was to help me present a new engine. Incubator gave me a certain status. Besides my engine, other projects were also developed in SpaceHub: for example, the idea of bot-satellites. They could use electric engine to fly on orbit, clean trash and repair other satellites. Another idea is a guard-satellite, which can self-destruct and change the course of other space objects on Earth orbit. All this stuff was developed in SpaceHub. After 2 years of work SpaceHub was closed. There is a lot of politics in our city. At some point, we were refused to renew the lease, without any reasons. It was sad. People couldn’t work in SpaceHub anymore. On the other hand, me and my team focused on developing the engine instead of getting distracted by hosting events, aimed at popularization of space projects. Before SpaceHub closed, we set up a big conference, where we presented 6 projects at the seed level. Each of them had a working prototype already. I was interested how society would react to non-standard products. We presented new generators feeding from planet’s magnetic field, a small nuclear reactor and other innovations. This conference initiated certain rumors. Before the New Year some people approached me and and said: “Will you show us your engine?” We said we had no place to test it. They took us into well-equipped private laboratory. It turned out there are several such laboratories in Dnipro. There were people who used to work on space projects at “Pivdenne” design office and “Pivdenmash”. We conducted tests, showed some results, but didn’t know how to develop the project further. There was a guy in laboratory, who worked in a project dealing with the Large Hadron Collider. And he said: “Hey, why do you spin anything at all? You can create the same vortexes you need with a linear-magnetic accelerator, like it’s done in the hadron collider. You can use a set of coils that gradually turn on and turn of creating the necessary acceleration”. We built 4 prototypes in 4 months. The last prototype reached a speed equivalent to 500,000 spins per minute. Experiments on air showed positive results. Now we need to test our engine in a vacuum chamber. You can say that the result of SpaceHub work is an engine based on linear-magnetic accelerator. We called it a vacuum-rotor engine (VRE). 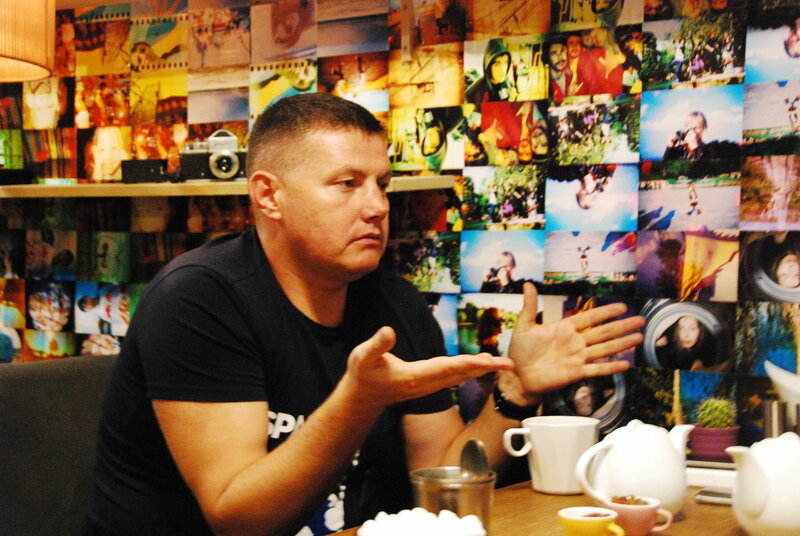 We talked to Vladimir Ivanovich Kukushkin, former deputy of Yangel. He said we were on the right track. When you get an approval from such people, it inspires a lot. 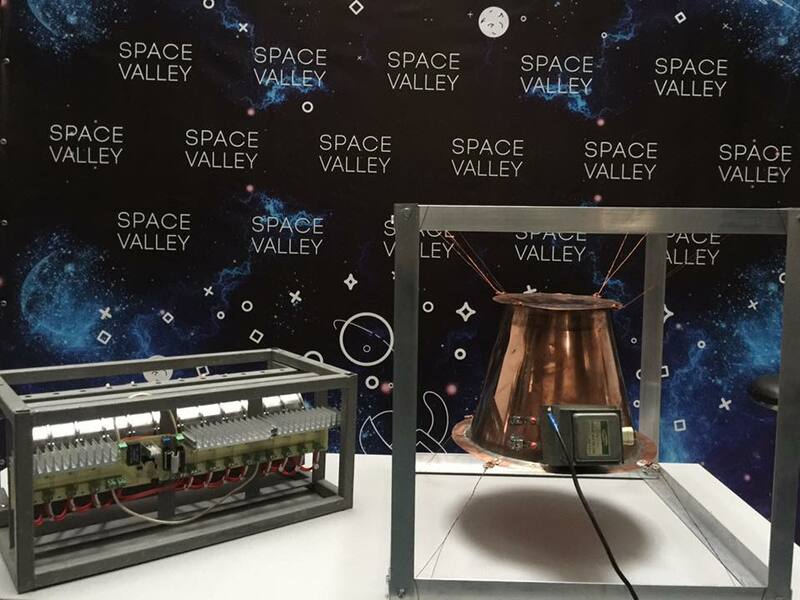 VRE and EmDrive engines showed on October 7 during Space Valley Hackathon in Dnipro. 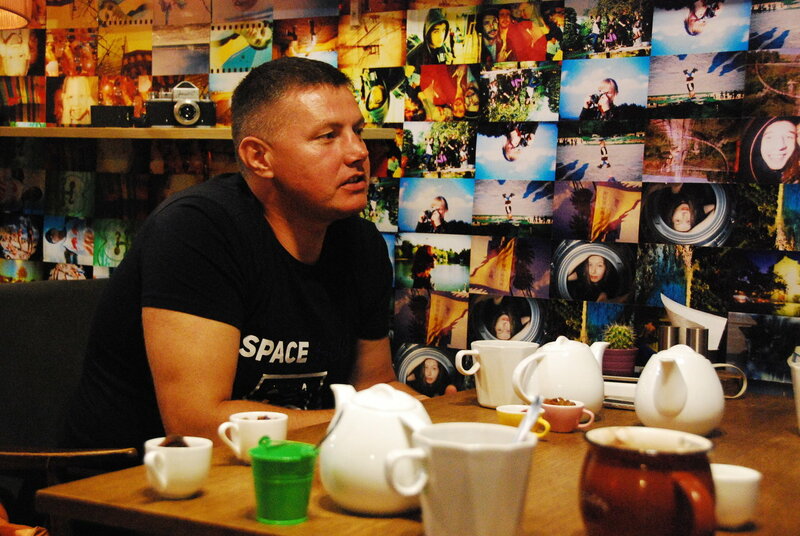 In Dnipro we have a community of space innovators. Together we came up with a model of a space cluster, aimed at uniting enterprises, universities and research institutes. We have already signed the first memorandums of cooperation. Dnipro Space Cluster will be located in “Industrial park” of the city. We want to coordinate the work of our cluster with European space agency, that has grant programs. All Ukrainian enterprises are state-owned and they expect money from the government. Thanks to commercial contracts these enterprises can secure their living, but they can’t invest in R&D. Our cluster will help to attract necessary financial resources to space enterprises. Also we plan to create a marketing team, that will help Ukrainian enterprises to sell their products. First, we’ll need to package them in a modern way. Besides, we need to update our training bases at the Universities. Did you start all these projects as a part of SpaceHub? Yes. I announced a call for the projects, but nobody reacted. Then I got acquainted with Lisa Avramenko from Archer Software company. She suggested to conduct a conference about space and managed to attract projects and experts. Those were very amateur developments. But we made the first shot. Since then we hold space conferences and hackathons every 6 months. Dnipro is a city of space startups. And it’s our duty to develop it. There is no other place on Earth with such a great potential and that low cost of human capital. How did the projects change during the two years in SpaceHub? People changed! I think I personally changed by 1000%. First, we treated space startups like every classic IT start-up: create a prototype, show it to investor, start advertising and do your best to grow. But rockets don’t fly that way. First, you need to prepare the sale. Space market is a complicated thing. All spheres are divided between large players. Besides, there are legal restrictions. Our friends were working directly with Sergey Brin and Google X. They developed a similar engine to ours. That engine passed all the experiments. Result was confirmed and the team was offered to move to the USA. People started to prepare necessary documents, when the US Department of Defense intervened and stopped the project. You need to be the US citizen to have the right to engage in certain developments. That team stayed in Ukraine. They are ordinary professors, who don’t have $50,000 for a prototype. Besides, some of them have this prejudice, that if their technology is going to change the world, they will be killed. Inventors are afraid to talk. I explained them: “Look, I have the same projects, I talk to people and nobody killed me. It’s actually hard to get somebody interested in your ideas. I show my developments to people and they say: “Cool. Well done!” I ask: “Ok. What about financing?” And they say: “We don’t have anything for you now. But you keep checking in”. Yes. I’m a businessman, the most cunning and mercantile. When I choose a team for a project, I’m looking for professionals who love what they do. How to attract them? Money won’t work here. My experience shows that if you hire a professional that does not love his project, it will fail. No soul – no project. A good professional always earns enough. You can buy him only by inspiring with a great idea. What can I do for talented people who are buried in daily routine? A good professional always earns enough, and you can only buy him with an outstanding idea. What can I do for these people? I surround them with love and try to free them from problems that distract from work. For example, there is an excellent specialist, but he can’t fully focus on the project, because he has a small child. I help to find a good kindergarten and free specialist’s time. The child grows and learns, the parent is happy to concentrate on the project. Sometimes I can spend a year trying to better understand specialist’s character. In complex IT-projects 1 year is a short term (unless you need to scale fast). If I choose the wrong person for the project – that will cost tons of money. I need to be able to rely on a person at least for 3-5 years. At the same time, if I like the project, I can give the first money easily. I do invest seed money immediately, and then I make a step back and watch how the person will use money. Will he put everything into the project or or spend on himself? So you work with projects like an investor? Yes. I have invested in 54 projects, which is cool. Unlike venture funds, I invest my own money, sometimes my last money. When I started my first project, I sold all my flats, cars, I sold everything. I got into debts. Eventually I succeeded, brought my product to market and received profit. GPS-trackers, alarms. That company has a steady revenue since 2010. 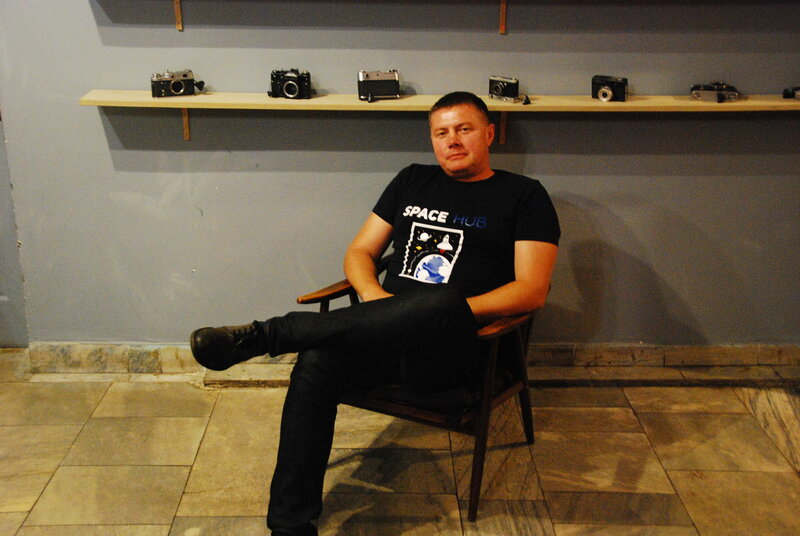 As a businessman, what markets do you see for Ukrainian space industry? Where can you sell products manufactured in Ukraine? Dnipro city specializes on engines. In Soviet Union our city developed more than a half of all space engines in the world! We still have expertise that is competitive on a global scale. Except for engines, we can’t do anything else. Well, may be that’s just a first glance. Remember I told you about professors who are afraid of talking about their crazy ideas? When we start working as a Cluster in Dnipro, we’ll understand more. I plan to take existing projects and package them in a right way. 20 years ago private companies couldn’t even talk about space. The state had exclusive rights for everything space-related. And now I’m standing here and telling you that my team created the engine! I believe that pirates will appear in space industry. They will make projects beyond the system. Probably, you can already call me a space pirate. Why did you decide to work in space business? Could you work in another industry? I have already worked in other industries. It is the past. Once I thought: “What is the thing that I could do till the rest of my life to keep growing as a person? Space is my highest bar. If I wen to work in traditional IT industry, i would join an army of millions of people who are already there. Space gives me a chance to be on the front-line. And still, there is my native Dnipro city, where I was born. Although I lived in many cities, Dnipro became a point, where I always return. It’s easy for me to do projects here, because Dnipro is the city of rockets. Earth is our home on a space scale. In future people will decide, whether they would like to stay on Earth or fly to Mars, instead of thinking whether to go from Dnipro to San Francisco or not. I would. Only with a condition of coming back. What do you think about the younger generation? You mentioned there are many old professors in Ukraine. When they pass, will there be a big gap in knowledge? Indeed, old professors will pass away in 10-20 years. I don’t think, a new generation can replace them. However, the world is changing. Many things, that were important in the past, are not relevant today. For example, previously you needed a whole department with an expertise in calculations. Now you have computer programs that do everything for you. The structure of knowledge changed. Certainly, you need to work hard: take old knowledge and mix it with young energy. We are now working with the National Mining University, where there is a Geological Research Faculty. In any University you can introduce disciplines connected to space exploration. Metallurgical Academy? Teach students how to smelt ore in space. Pedagogical Institute? Think about psychology and group dynamics during long-distance travels. Space is the largest sales funnel in the history of humankind, which is being shaped right now. We live in this historical moment and it is important to catch it. Humanity will give everything to find out what’s next.